What is OSHA: Topic 6 - Where can you go for help? What is OSHA: Topic 5 - How are OSHA inspections conducted? The OSH Act authorizes OSHA compliance safety and health officers (CSHOs) to conduct workplace inspections at reasonable times. OSHA conducts inspections without advance notice, except in rare circumstances (for example, when there is a report of an Imminent Danger). In fact, anyone who tells an employer about an OSHA inspection in advance can receive fines and a jail term. 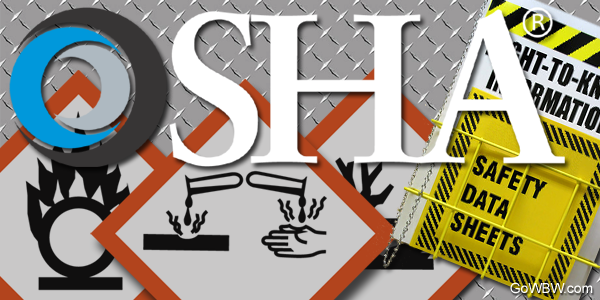 WHat is OSHA: Topic 4 - What do the OSHA Standards say? Now, let’s talk briefly about the OSHA standards. OSHA standards fall into four categories: General Industry, Construction, Maritime, and Agriculture. What is OSHA: Topic 3 - What responsibilities does your employer have under OSHA? 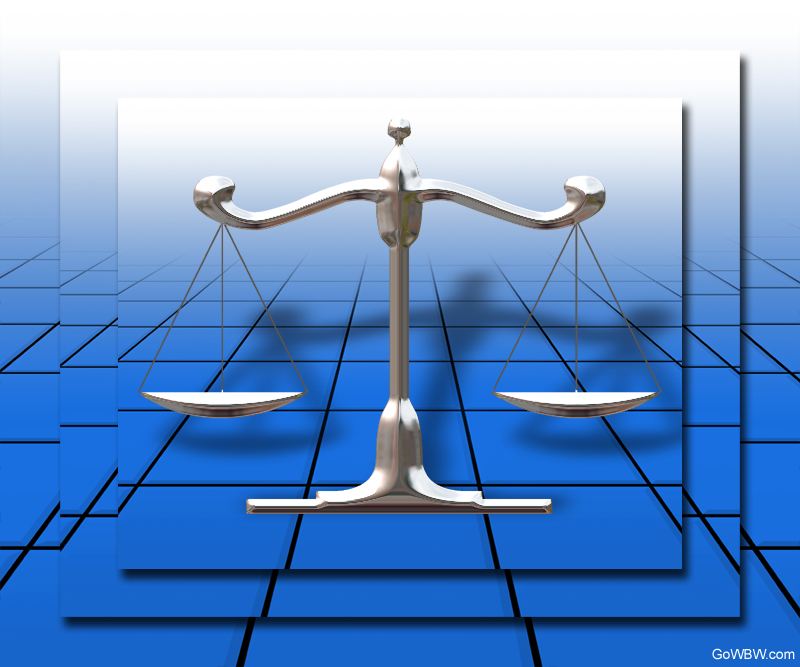 What is OSHA: Topic 2 - What rights do you have under OSHA? Most importantly, the creation of OSHA provided workers the right to a safe and healthful workplace. Section 5(a)(1) of the OSH Act states: “Each employer shall furnish to each of his employees employment and a place of employment which are free from recognized hazards that are causing or are likely to cause death or serious physical harm to his employees." A safe and healthful workplace means that hazards are removed and workers are trained. If a hazard cannot be removed completely, protection (for example, respirators or earplugs) must be provided. The purpose of this series is to answer the question - What is OSHA? The series is composed of 6 indivdual topics. Each topic expands on the question - What is OSHA? Topic 1. Why is OSHA important to you? Topic 2. What rights do you have under OSHA? Topic 3. 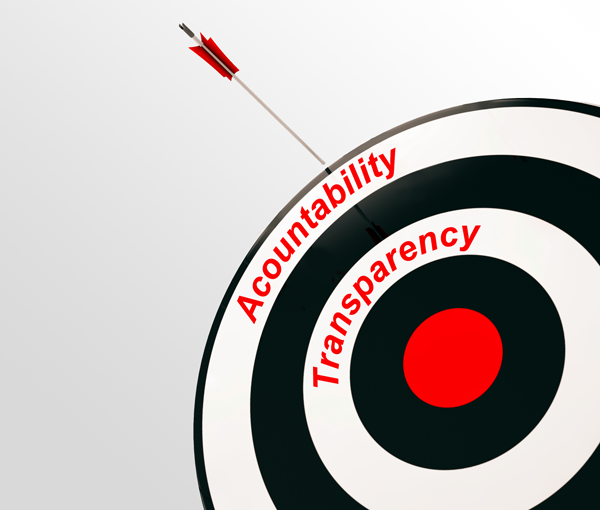 What responsibilities does your employer have under OSHA? Topic 4. What do the OSHA standards say? Topic 5. How are OSHA inspections conducted? Topic 6. Where can you go for help? OSHA defines a near miss as an incident where no property was damaged and no personal injury was sustained, but where given a slight shift in time or position damage and/or injury easily could have occurred. Merriam-Webster's definition is "an accident that is just barely avoided." Near miss incidents occur every day in the workplace and can be anything from a simple stumble over an electrical cord to a hand narrowly escaping amputation. 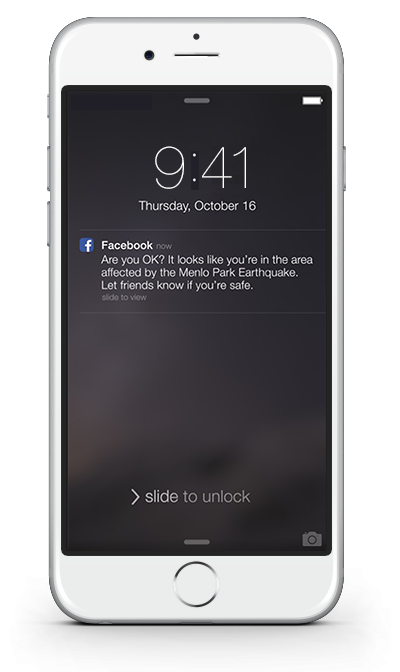 The Facebook team has created a simple to use tool that allows users to connect with their network during a crisis. When a natural disaster or crisis occurs it's common for people and companies to turn to the internet to check on loved ones and employees. With 3.2 billion subscribers, Facebook is a popular choice for such information. 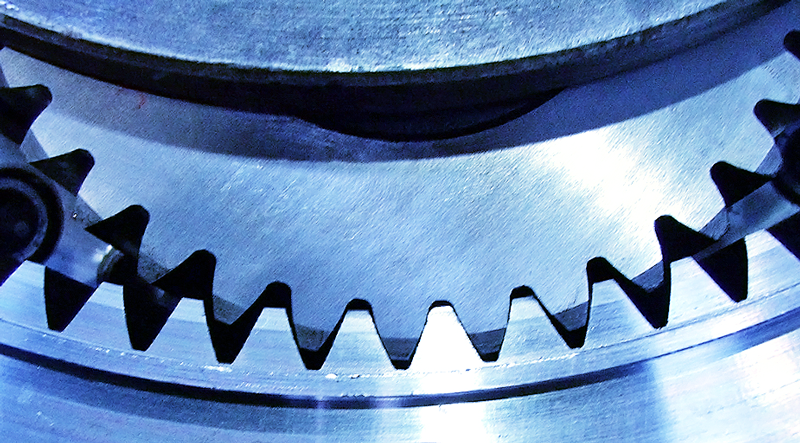 The following 3 case studies illustrate the importance of lockout / tagout programs. They also discuss the unfortunate consequences of not having or not using lockout / tagout. The proposed rule seeks to make changes to the reporting requirements of OSHA's recordkeeping rule. 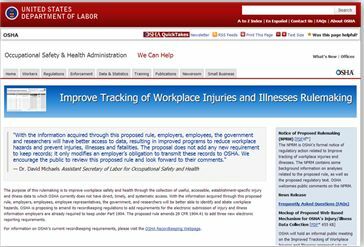 The comment period on the proposed rule to improve tracking of workplace injuries and illnesses expired October 14, 2014. The next stage in this rulemaking process will be for OSHA to carefully review all comments before promulgating a final rule. OSHA is proposing to amend its recordkeeping regulations to add requirements for the electronic submission of injury and illness information employers are already required to keep under Part 1904. The proposed rule would amend 29 CFR 1904.41 to add three new electronic reporting requirements (proposed § 1904.41—Electronic submission of injury and illness records to OSHA). Considering attending a safety conference during the last quarter of 2014 or the first half of 2015? If so, we have compiled a list of some of the top national safety conferences in the United States. As more information becomes available for these events, we will update this article. Safety Conferences are listed in chronological order. Scope: Matalco US is under investigation by the US Department of Labor for exposing workers to amputation, fall hazards and unsafe crane operations.